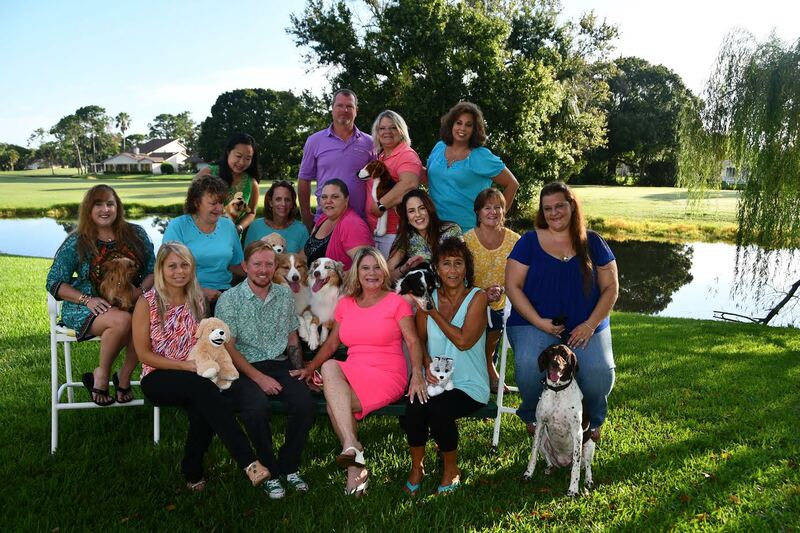 A lot of companies sell commercial outdoor patio furniture, but here at ET&T Florida we offer you so much more than that. We eliminate the hassle of searching the internet for different companies that will provide you with what you need. Contact us today and buy from a company you know and trust! ET&T Distributors is your premier source for the commercial outdoor recreational and leisure furniture products you need for your hospitality or commercial installation. Our product inventory is extensive and includes a wide range of outdoor furniture products and home accessories, including Grosfillex Resin Patio Furniture, Windward Strap Furniture, Windward Sling Furniture, Windward Cushion Furniture, Nardi Furniture, Cast Aluminum Furniture, Cushion Patio Furniture, Benches, Hammocks, Playground Structures and much more! 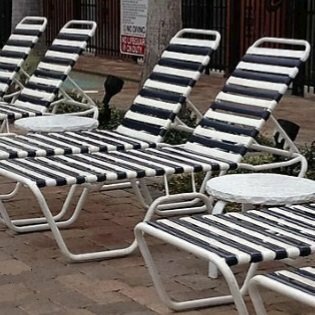 We target our outdoor furniture sales to Hotels, Motels, Time Shares, Resorts, Condominiums, Schools, Restaurants, and Apartments. We offer a variety of Grosfillex furniture products, including Grosfillex dining chairs, Grosfillex chaise lounges, melamine tables, patio tables and Grosfillex furniture sets. Our most popular Chaise is the resin or commercial plastic Bahia chaise lounge and the Pacific Fanback dining chair. They are made specifically for the hospitality or commercial industry. 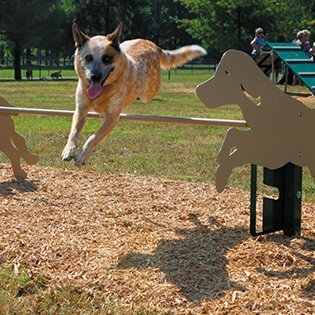 An extensive selection of cast aluminum furniture offers you great choices for completing the outdoor recreational spaces of your home. We carry cast aluminum chairs & stools, tables, sofa benches, chaise lounges, patio sets and other accessories. Our hardwood and teakwood furniture products offer appealing visual décor and practical leisure enjoyment to your home. Our products include patio gliders, bench seats, storage benches, tables, dining sets, chairs and rockers and spa accessories. 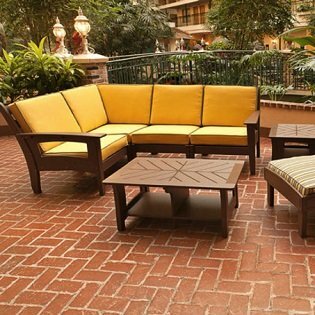 Our patio furniture and tables selection offers you attractive choices to add to the décor of your outdoor decks, Restaurants and balconies. 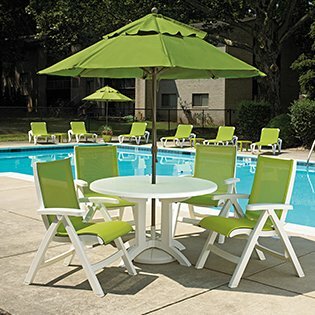 Choose from many options including cushion patio furniture, sling patio furniture, Resin or commercial plastic patio tables and more. 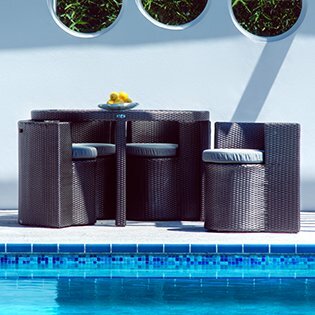 All weather wicker furniture can provide a beautiful complement to your outdoor and indoor living spaces. View our selection of tables & ottomans, dining sets, chairs and stools, lounge love seats, wicker armchairs and other excellent pieces to outfit your home. 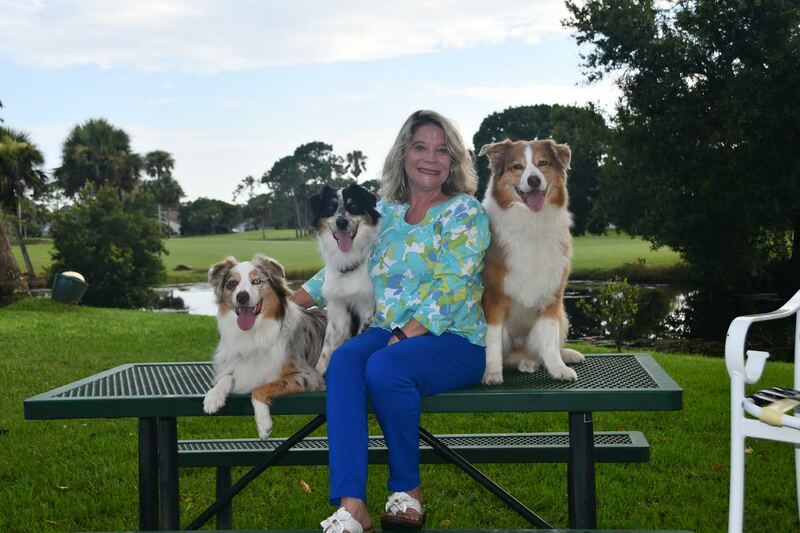 We offer a variety of other leisure products and amenities including grills, benches, picnic tables, patio umbrellas, market umbrellas, cabanas, large shade structures, workout stations, playground structures and more. 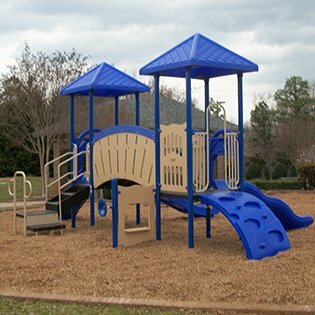 We are a turnkey playground supplier and can offer installation, surfacing, boarders, and permitting.